Performance has had a dual role, if not a multi layered one, in Schmidlapp photography. 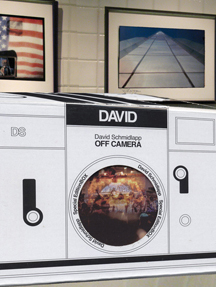 Obviously, first in David’s photo shoots –where the performances of subjects (models and sometimes the artist himself) take hold as he stages his shots. Many of these photo shoots became photo stories and were published in the Style Section of the Soho Weekly News in the late 70’s. Schmidlapp next turned his photo stories into slide shows with soundtracks and showed them in the emerging downtown ‘art’ niteclubs. His slide shows soon became more and more live performances, with multi projectors and multi screen surfaces. New York musician Walter Steding has provided live music in many of these shows. Other musicians along with dancers and poets have also performed in Schmidlapp slide, projection environments. Sometimes he has read or recited in his shows and even enacted the original photo events. 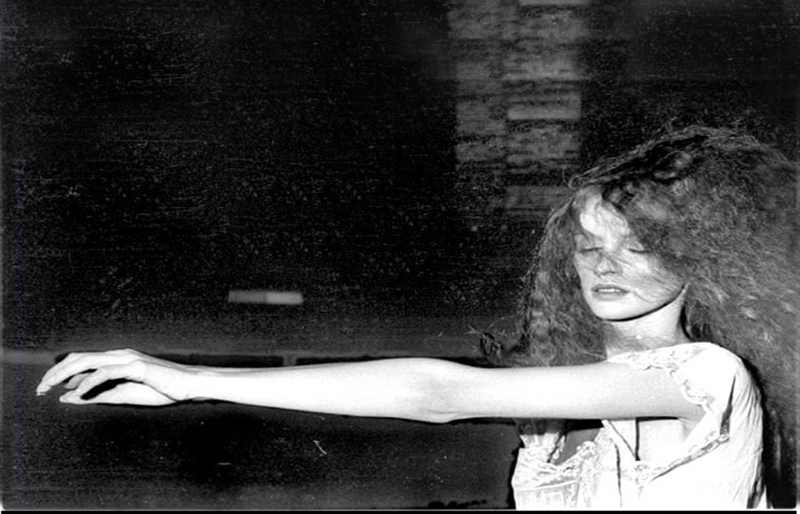 These “photo performances” traveled from downtown Manhattan to countless international venues in the 90’s. It was the way Schmidlapp present his photography into the millennium. The end of photo shoots @ Schmidlapp’s Christopher Street studio/ rent stabilized apt. of 40 years. Dec 31, 2015 with model Theolanda / the wearing his great great aunt’s nightgown that was featured in his late 20th century photo performances.